In preparation for the 2010 Fermilab Facility Shutdown, radiation exposure estimates will be used for ALARA planning for work in the Main Injector. The task of completing the installation of the Gap Clearing Kickers in the MI400 region will require cable connections and related work to complete the installation of these devices. It will involve working the same area in which the mechanical installation and vacuum work was done in the 2009 shutdown. We will use the Residual Radiation measurements, the BLM loss records, and the fits which relate these as described in Beams-doc-3568 to establish expectations for the radiation levels for this work. 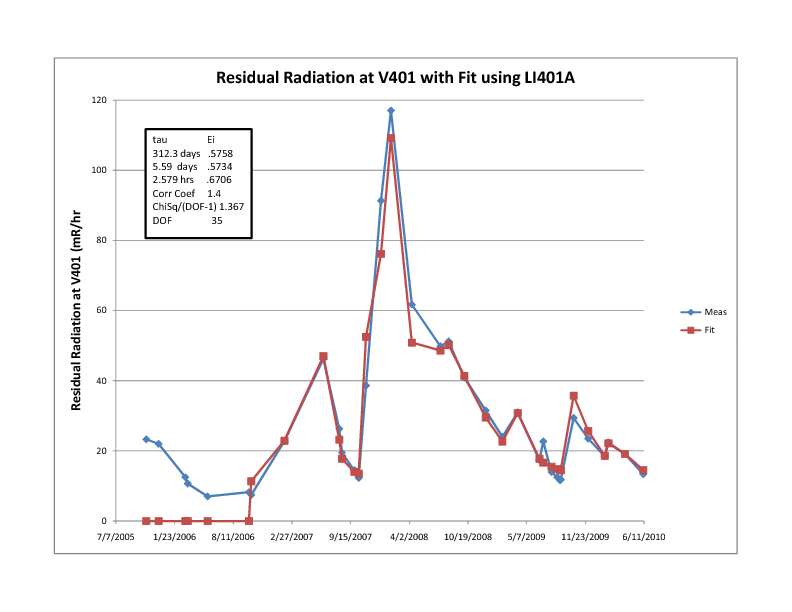 With current loss rates and residual radiation levels combined with the lower loss levels expected during the two week Booster power reduction, we believe that radiation levels for 2010 will be comparable or lower than the 2009 levels during the shutdown. Limits on the per pulse loss for BLM's in this area will be imposed.